"Coffee Talk" Too provides you with even more digital background papers to choose from when creating with this tasty kit! There are so many uses for this Collection, so why not have more options to create with?! These digital background papers are NOT included in the FQB "Coffee Talk" Collection, so please don't miss out! 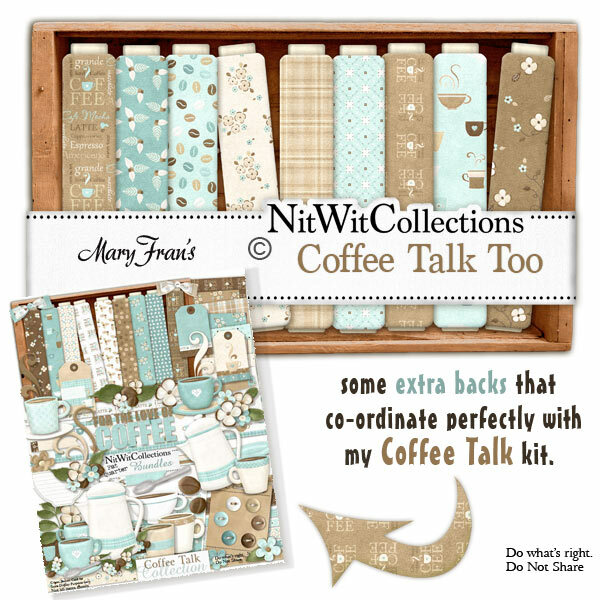 16 digital background papers that coordinate and colour match my "Coffee Talk" Collection.